Over the past fifteen years or so a great deal of attention has been paid to a particular class of nonlinear systems, namely to the bilinear ones. One can mention the lecture notes of Subba Rao and Gabr  and the paper of Tuan  by time series side and the works  and  by system theory side. 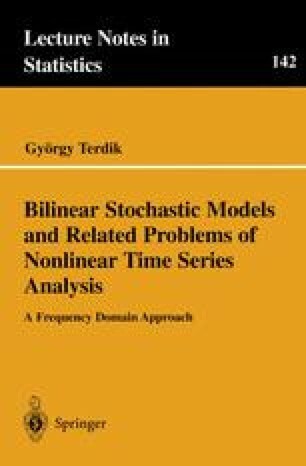 Papers discussing bilinear time series include: , , , , , , , , , , , , , , , , , , , , , , , , , , , , , , , , , , , ,  and .